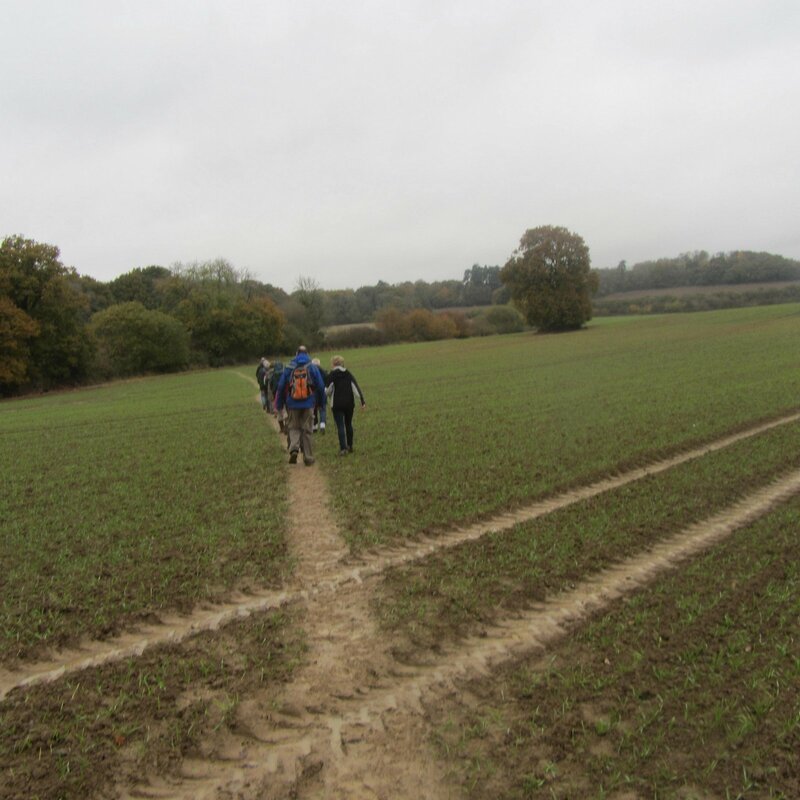 FEBRUARY 18 2017: Twelve walkers set out from the Harrow pub in Farleigh yesterday on the fifth anniversary walking group outing. They were led by our usual navigator Dave assisted by local resident Phil Willis. Sadly Phil was walking alone as his usual partner Suki was laid up at home with a sore paw. JANUARY 24 2017: Eleven walkers started out from the Ramblers Rest in Chipstead Valley yesterday, having discovered to their dismay that the pub was closed due to a burst pipe in the kitchen. So would it be open in time for dinner on our return? DECEMBER 22: It was standing room only at the Old Forge Deli in Godstone as a fourteen walkers and two guests tucked into tea and bacon butties at 10.30 on a drizzly winter solstice morning yesterday. 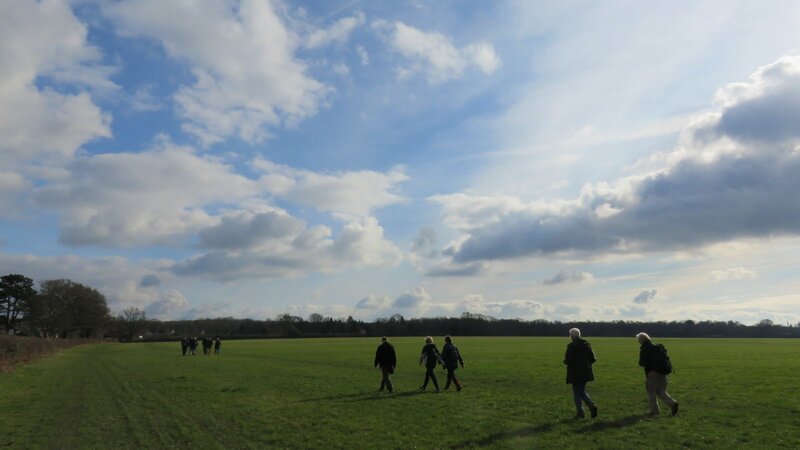 As they struck northwards past the site of the old Godstone Windmill, they were joined by a breathless Roger Lee to make the walking party up to fifteen - a record for a complete walk by the choir walking group. 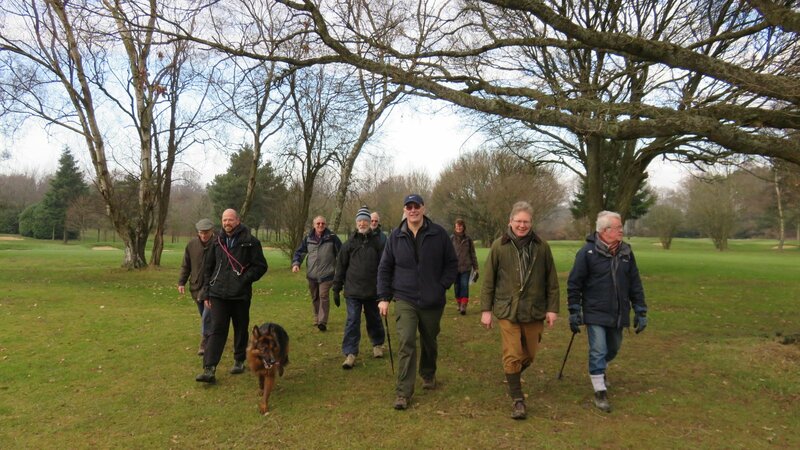 DECEMBER 8: A small but perfectly formed group of seven walkers assembled at Bletchingley Golf Club on Tuesday 6 December. 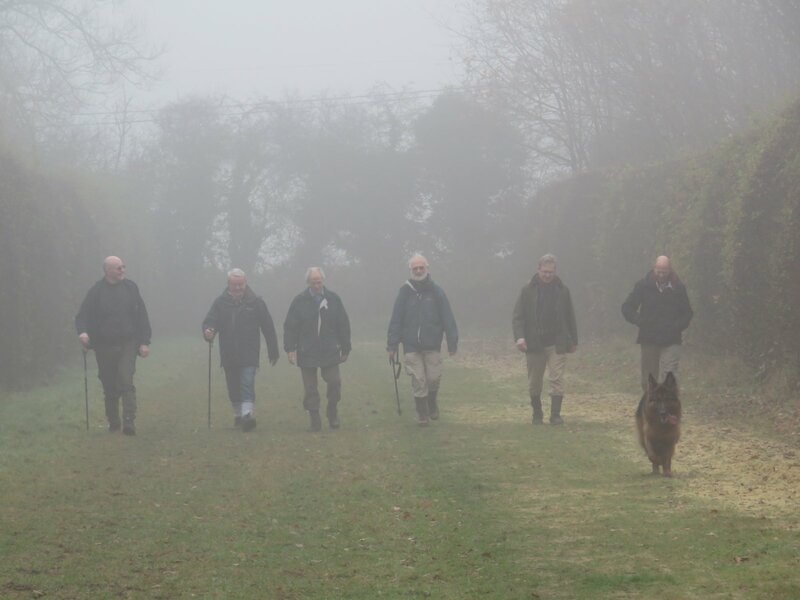 As it was a morning start, the customary pre-amble beer was replaced by tea and bacon butties before the group ventured into the swirling mist. NOVEMBER 16: Eleven walkers left the Fox and Hounds near South Godstone on Monday, 14 November, watching out for traffic on the first southward stretch, part of the old London to Newhaven Roman road. They branched west into muddy countryside, following quiet country tracks north of South Park Farm and Cuckseys Farm. The group welcomed three debutantes to the walk on 24 October: Ben and Sue Kennedy, and Jennie Willis. 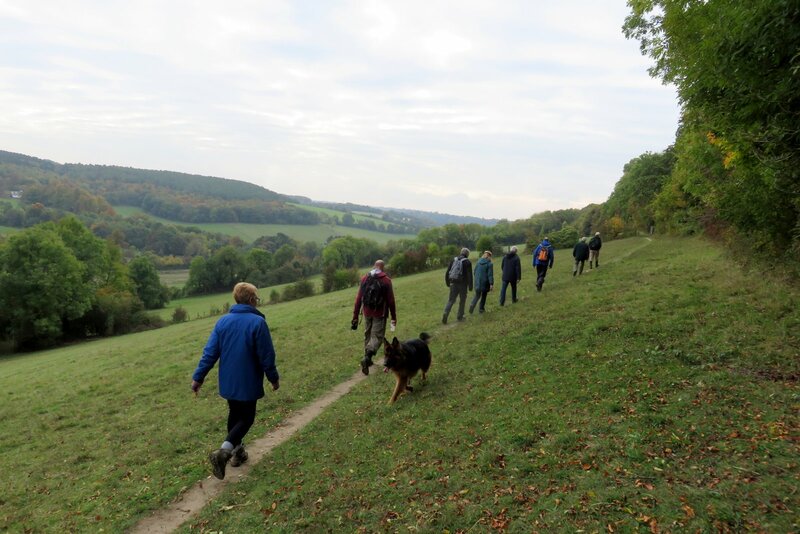 After leaving the White Lion in Warlingham, they traversed Blanchman's Farm Nature Reserve before emerging into the sunshine overlooking the Woldingham Valley. 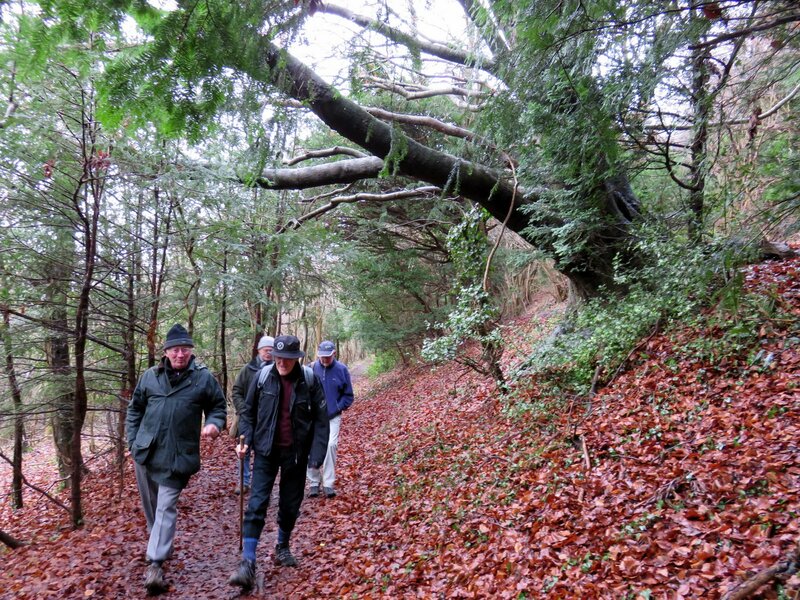 While the walkers admired the sumptuous views, navigator Dave explained the periodic rise of the Caterham Bourne and its source in the valley, and the chaos caused downstream as the waters flooded parts of Whyteleafe and Kenley a couple of years ago. He pointed out the dams and sluices that had since been built to contain the water.